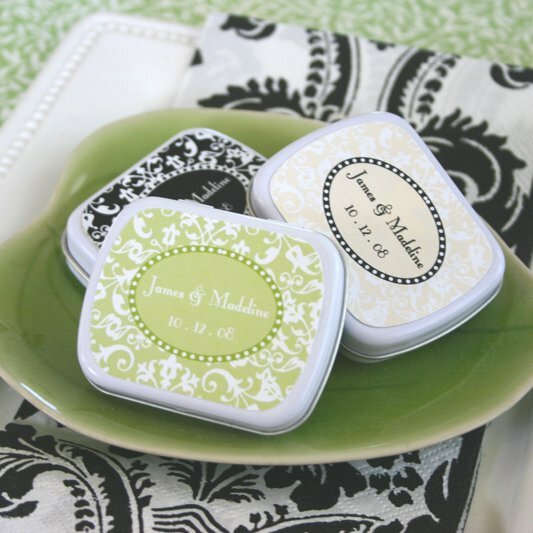 Show off your hip and modern style with our personalized retro chic damask wedding favor mint tins. 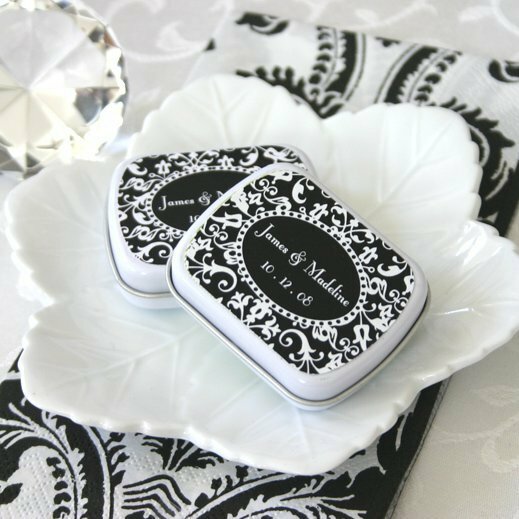 Fill them with a treat of your choice then give them to your guests to enjoy. 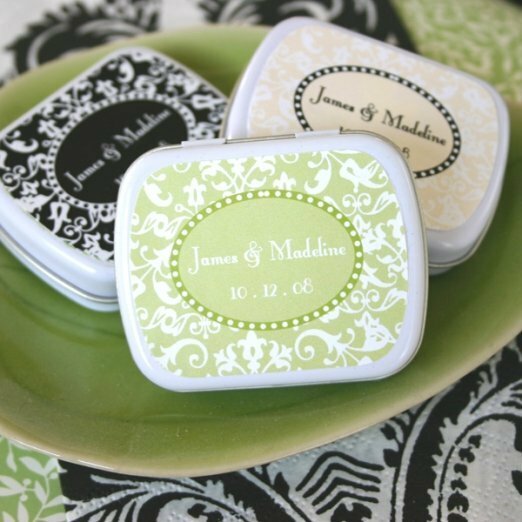 Choose from 2 styles - monogram or 2 lines of custom text - then pick a color of your choice. 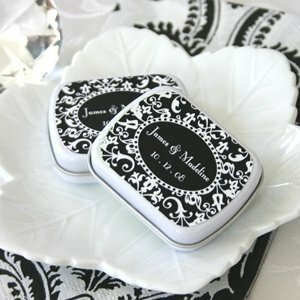 Tin measures 2.25" x 1.75" x .57".